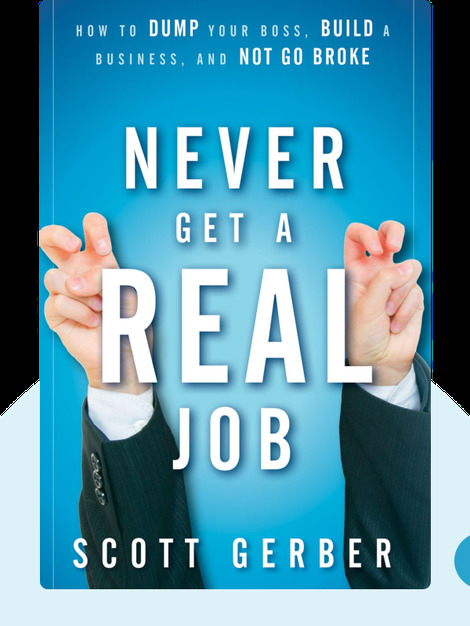 Never Get a “Real” Job (2011) encourages young entrepreneurs to swear off “real” jobs, foregoing the nine-to-five life in favor of taking control of their own lives. Based on real-world experience and observation, it provides a nuts-and-bolts guide to getting it together and starting up. 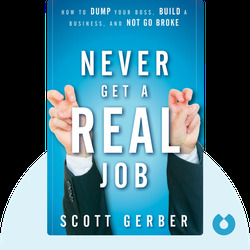 Scott Gerber is a sought-after speaker and CEO. He’s also the cofounder of the Community Company, an organization that nurtures professional membership communities for global brands. He is also a self-made, expert bootstrapper, hustler and author. His most recent book is 2018’s Superconnector: Stop Networking and Start Building Business Relationships that Matter. © Scott Gerber: Never Get a “Real” Job copyright 2010, John Wiley & Sons Inc. Used by permission of John Wiley & Sons Inc. and shall not be made available to any unauthorized third parties.